Fall in Bend, Oregon is one of my most favorite times of year. The cool, crisp mornings; warm sunny afternoons and the colors! Just check out this photo! 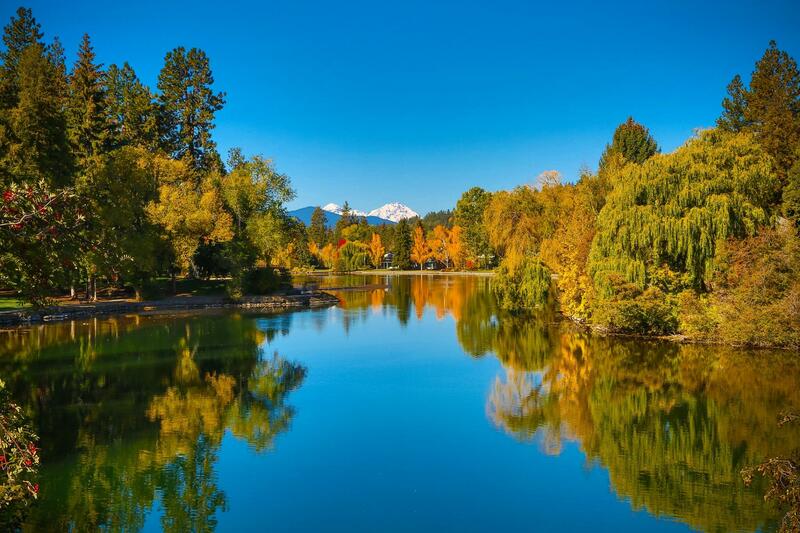 Along with the weather and stunning colors there are an endless amount of activities people do in the fall in Bend. The cool mornings give way to hikers, trail runners and mountain bikers along the Deschutes River Trail and the warm afternoons see paddle boarders and kayakers paddling in the Deschutes. The sounds of kids giggling and running, jumping in piles of leaves and playing at one of the many parks is a joy to see. Not to mention its “shoulder season” which basically means the locals have their city back – lighter traffic, shorter lines at your favorite restaurant and less congestion on the trails.